"When I announced my decision, all of my friends and lecturers begged me to reconsider. They thought I was crazy, to be honest. It was only my mother who told me that I could do whatever I wanted to in life. She was the only one." "There were many people joining the industry at that time who wanted to make films, to be directors or to write comic books but, for whatever reason, hadn't been able to 'make it'.' Some were in a band and had released a record but it hadn't sold well. Others were struggling artists who wanted their own manga series. The industry was full of dropouts, people who felt like games offered them another chance. I met many people in that same situation; we bonded together through that in some sense." "It took her an entire year to complete Metal Gear Solid 3. She would get her friends to help her. When she defeated The End [a character the player faces off against in one of the game's final missions] she called me up and said: 'It is finished'." Kojima's career isn't finished, even if he's keeping coy about what he's working on next. 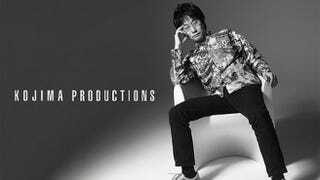 Just imagine: a whole genre of game wouldn't exist of Kojima wound up in a director's chair. Metal Gear Creator&apos;s Next Game is Set In a "Very Open World"